The solar storm was big enough to be detected at Earth too, even though Earth was on the opposite side of the Sun from Mars. New York: A solar event has sparked a global aurora at the Martian surface and caused the radiation level to double than highest ever recorded, NASA scientists have found. 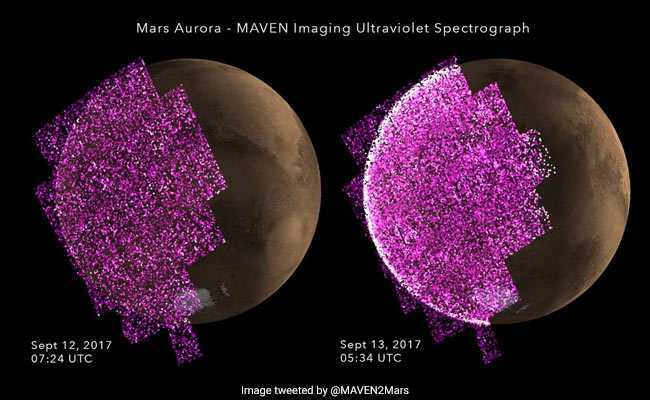 According to Mars Atmosphere and Volatile EvolutioN (MAVEN) Mission -- a space probe developed by NASA designed to study the Martian atmosphere while orbiting Mars -- a solar event on September 11 triggered the global aurora at Mars more than 25 times brighter than any previously seen by the MAVEN orbiter. The orbiter, which has been studying the Martian atmosphere's interaction with the solar wind since 2014, also recorded radiation levels on the surface more than double any previously measured by the Curiosity rover's Radiation Assessment Detector, or RAD, since that mission's landing in 2012. The high readings lasted more than two days, NASA found. "The current solar cycle has been an odd one, with less activity than usual during the peak, and now we have this large event as we're approaching solar minimum," said Sonal Jain of the University of Colorado Boulder, who is a member of MAVEN's Imaging Ultraviolet Spectrograph instrument team. This event was big enough to be detected at Earth too, even though Earth was on the opposite side of the Sun from Mars. "This is exactly the type of event both missions were designed to study, and it's the biggest we've seen on the surface so far," added RAD Principal Investigator Don Hassler. The Sun always emits a continuous stream of charged particles, mainly electrons and protons. Occasionally, eruptions called coronal mass ejections occur, with higher density, energy and speed of the ejected particles. These events vary in strength. According to Ms Jain: "When a solar storm hits the Martian atmosphere, it can trigger auroras that light up the whole planet in ultraviolet light. The recent one lit up Mars like a light bulb. 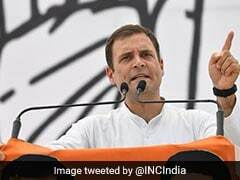 "An aurora on Mars can envelope the entire planet because Mars has no strong magnetic field like Earth's to concentrate the aurora near polar regions. The energetic particles from the Sun also can be absorbed by the upper atmosphere, increasing its temperature and causing it to swell up."